Remodeling a bathroom can be a tricky process. Balancing budget with your individual needs and desires can be a challenge in itself, but it’s also important to consider how you’ll add to the overall value of your home with each decision you make—no pressure! Keeping your home up-to-date is one thing, but catering to the needs of the people in your home should also be a priority. If your current bathroom isn’t suiting your needs well, then you might consider going outside of the box for upgrades and materials that will better accommodate you and the others in your home. Non-slip or anti-slip bathroom flooring has become widely popular in recent years. Homeowners have discovered that bathrooms are one of the areas in the home where accidents most frequently occur, usually due to water accumulating on the flooring and adding moisture and condensation to an already slippery surface. This is extremely problematic under certain circumstances in certain homes. If you’re considering replacing the flooring in your home bathroom, here are a few reasons why it might be important to go for anti-slip flooring. When you have the opportunity to remodel your bathroom, it helps to consult with professionals who can offer ideas that add to the overall value of your home. Every material you choose should coincide with the overall aesthetic of your home, including design in patterns and color schemes. Even more importantly, materials should add to the functionality of the space. When it comes to the bathroom, nothing is more appropriate or functional than slip-resistant flooring. As water accumulates, it presents a precarious and dangerous environment where slipping and falling is common. Besides adding to the value of your home with every material you choose, you might also consider the following variables that will contribute to how you go about choosing your specific materials in your bathroom, including the choice in flooring. Having senior citizens or individuals with physical disabilities in the home increases the risk of slipping and falling on wet bathroom flooring. In addition to other safety precautions like grip bars, anti-slip flooring can greatly reduce the risk of falls in the bathroom. Have you ever fallen in your bathroom before? If you’ve ever slipped in the bathroom because the floor was wet, you may have sustained injuries or just barely gotten away with losing your balance for a moment. In either case, it might have been enough to scare you out of your wits. Anti-slip flooring can make the space feel more relaxing and less anxiety-provoking. Along with slip-resistant flooring, you might also consider installing more adequate bathroom ventilation. 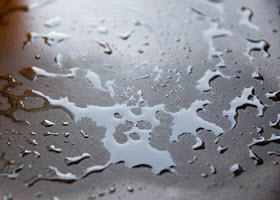 When hot steam meets a cool surface, it creates moisture and condensation that can make the floor slippery. By adding better ventilation, it greatly reduces the risk of slippage, in addition to having slip-resistant flooring. Anti-slip flooring options come in a wide range of designs that can match your already existing home aesthetic, or that can upgrade and improve your design. The color, texture, and pattern of your flooring is an important factor to consider when choosing a slip-resistant flooring that works best for your home. Besides adding slip-resistant flooring and adding to your bathroom’s ventilation system, there are other precautionary measures you can take in order to reduce the potential for slipping. 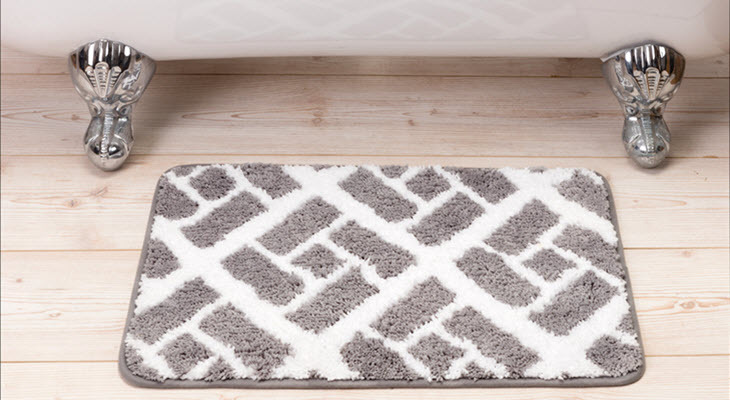 You might consider strategic rug placement with appropriate gripping beneath it near bathroom sinks and shower entrances, in-shower slip-resistant mats, and safety bar grips in appropriate areas. Don’t let our name fool you; our remodeling experts here at Kitchen Emporium have installed countless anti-slip floors in homes all around the Southern California areas of the San Fernando Valley, San Diego, and San Marcos, CA. We know that bathrooms are one of the most accident-prone areas of a home, and it’s our mission to help our clients feel more at ease in their own bathroom spaces. Bathrooms are for relaxation and rejuvenation, but not when you’re constantly worried about slipping due to abnormally wet flooring conditions. For more ideas on how to make your bathroom slip-resistant, contact one of our professionals directly. We are happy to offer a consultation and in-home estimate.